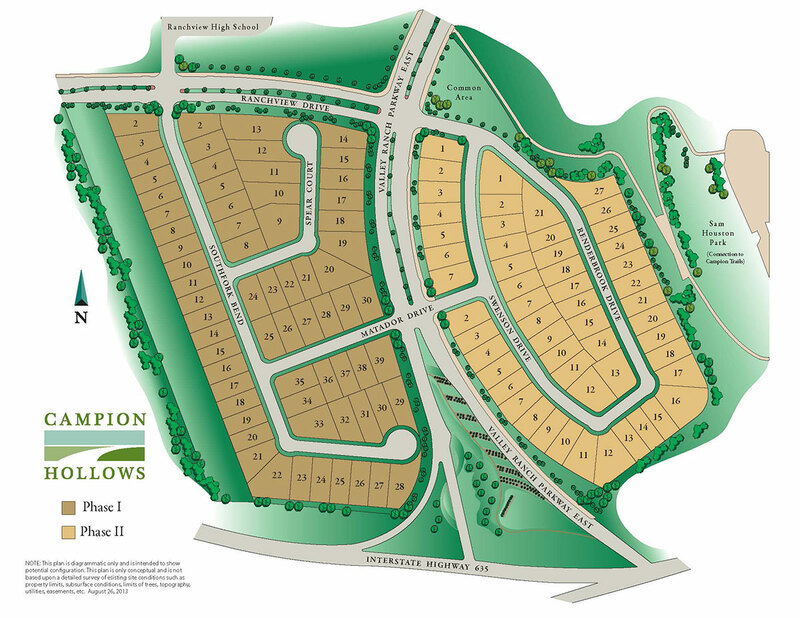 Campion Hollows is a 27-acre land development within Valley Ranch in Irving, TX, that contains 121 single-family lots. Centrally located in the heart of Dallas/Fort Worth, Campion Hollows offers easy access to several major freeways, as well as stores and restaurants. Campion Hollow is adjacent to Sam Houston Park, a major outdoor recreational venue featuring a 22-mile greenbelt along the Trinity River, as well as tranquil lakes and picnic areas. This new residential community is adjacent to schools and the homes are designed by two of the area’s most reputable builders - K. Hovnanian Homes and David Weekley Homes.